Asus India today hosted a joint event with Paytm Mall where they announced the new Vivobook X507, the company’s newest affordable laptop. The Vivobook X507 offers a fairly basic set of features, with fairly basic components running inside the chassis, however, there are some things it seems to do well, and some, that could use improvement. After the launch event, Asus was kind enough to let me get my grubby hands on the machine for some time and I used that time to figure out just how good of a laptop the X507 would be. Sadly, no benchmarks were run due to shortage of time, but I did get enough time to form an initial opinion, which for the most part, is positive. 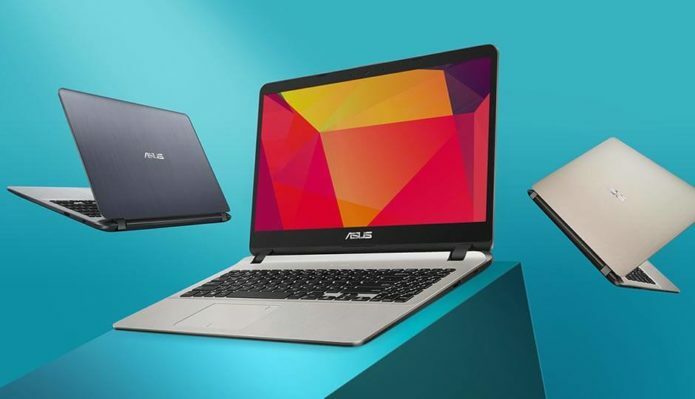 The Asus Vivobook X507 starts at a retail price of Rs. 21,990 and for that, you get a laptop running an Intel Celeron processor, 4GB RAM and a 1TB hard disk drive that spins at 5400 rpm. The screen is a regular TN panel with 720p resolution. 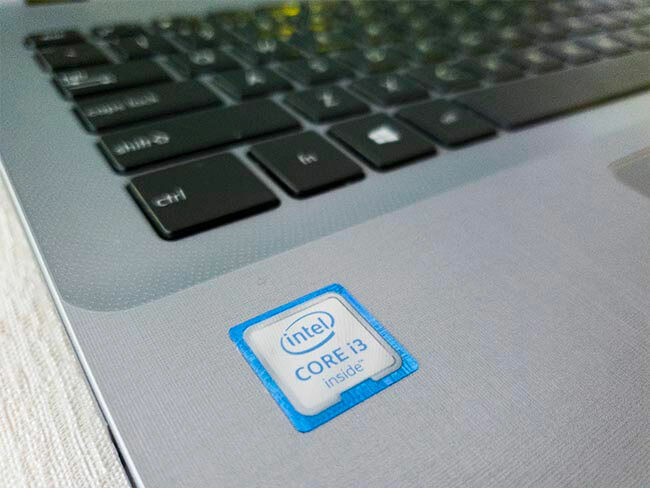 The top-of-the-line configuration gets you a 6th generation Intel Core i3 processor, 8GB RAM and 2GB of discrete graphics in the form of Nvidia MX110. What is interesting is that Asus has built an m.2 port into the machine so that you can add an SSD if you choose to, however, the machine only has a single DIMM slot, which caps the maximum supported RAM to 8GB. The price of the laptop makes it feel like a great machine for those whose usage starts and finishes at clerical work, typing or spending tons of time researching on the web. You can even take a break and watch full HD movies on the Asus Vivobook X507, however, gaming is going to be an unrealistic expectation. For the price, the Asus machine seems to offer a simple set of hardware components, but there are other things that help it score points. The keyboard on the Asus Vivobook X507 doesn’t have a smooth texture like most keyboards in the market today, but instead, has a kind of crinkled finish. This is come down to personal preference, but I liked hitting keys that had texture on them. What I am sure many won’t really appreciate is the ever so slight uneven 1sponginess to the keys. After typing on the keyboard for ten whole minutes, the sponginess was still very much evident. Not a big fan of that. While the main keys themselves are nicely spaced, the num-pad feels a little too cramped and could definitely use better arrangement. In fact, Asus could have just totally dropped this from the laptop, making the textured keyboard island a lot more spacious. What pleasantly surprised me was the accuracy of the trackpad. I didn’t have enough time to run photoshop or anything, but the trackpad was able to register gestures in the first go. Scrolling was extremely smooth and the left and right clicks are generously deep. I have a feeling some of you may not like this given the longer than usual travel, but from a functional perspective, it won’t make any difference. 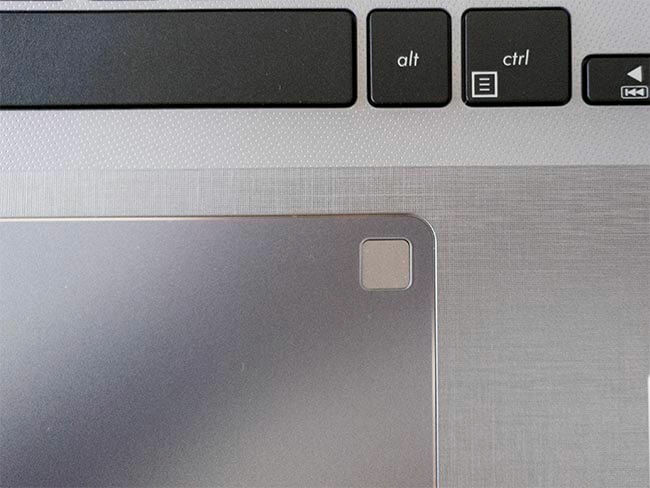 The bonus here is the capacitive fingerprint sensor embedded into the top-right corner of the trackpad. Definitely a good addition to the Vivobook X507. The unit I played with had a full HD display but wasn’t an IPS panel. The viewing angles were not as forgiving as that of an IPS display, but I was surprised to see that the panel Asus has used has some tolerance to varying viewing angle. Simply put, two people could side-by-side and watch a movie without experiencing any significant loss in visual fidelity, if any at all. I am, however, going to reserve judgement on the display till we’ve reviewed the machine and measured the viewing angles and colour accuracy of the display using our instruments. Asus does say that the screen-to-body ratio is almost 75%, claiming to have “reduced bezels” but believe me, they are very much there. 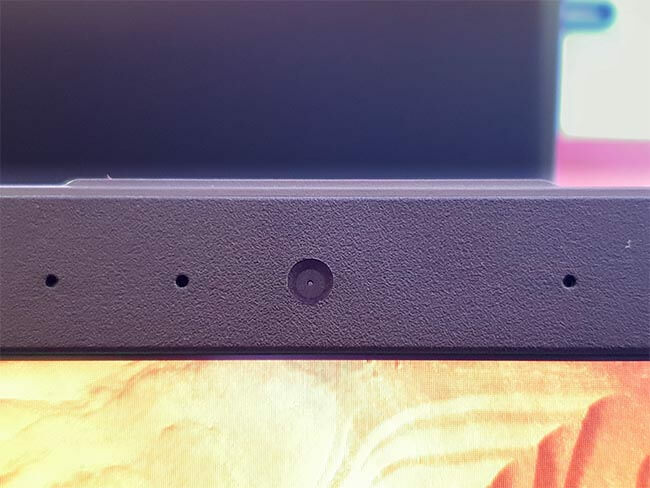 This is not a bezel-less display, but what was a little funny was me not being able to find the webcam because it was so deeply recessed into the bezel, almost like it was camouflaged. 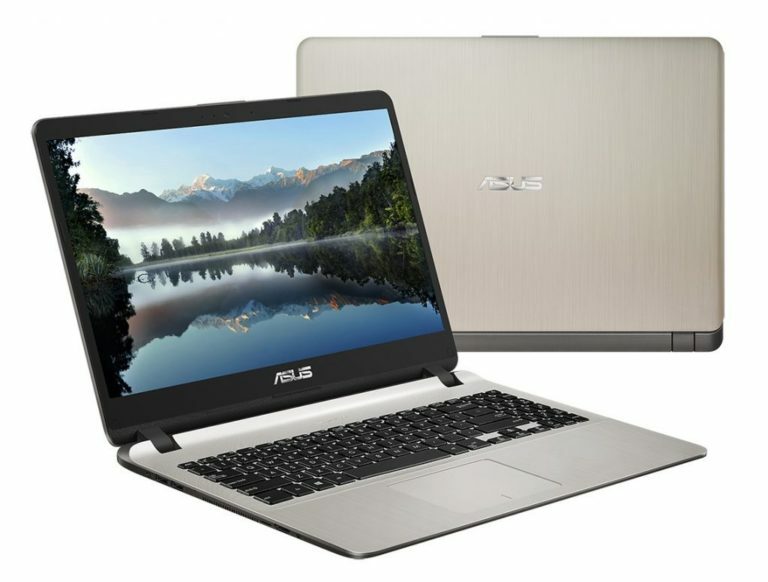 The Asus Vivobook X507 seems to tick some essential boxes, especially when it comes to budget. It’s a beautifully designed laptop with nice curves that blend into the body with elegance, but no one is going to mistake it for a premium machine. It offers the bare minimum and maybe a little more, but then again, for the price, it may seem like a better option than a tablet. College kids might find this machine of particular interest, given its low price and the capability of meeting most barebones demands of young people.